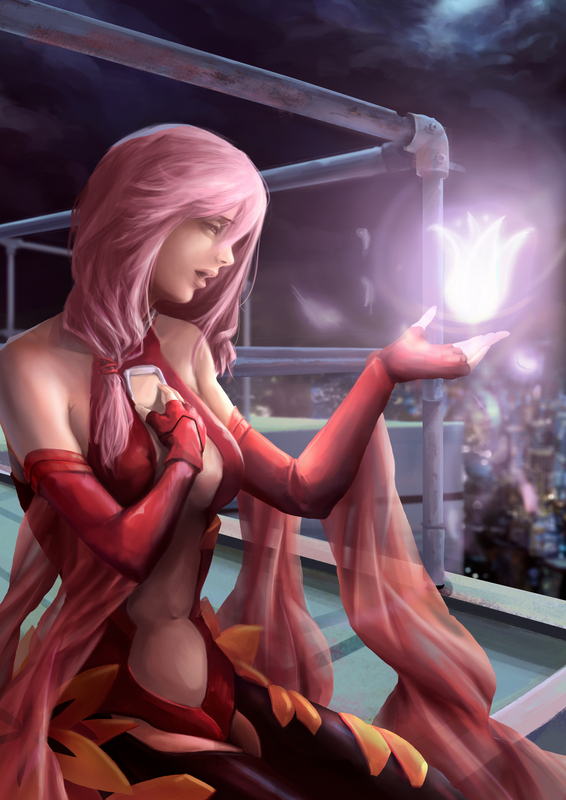 Inori Yuzuriha from Guilty Crown. Always wanted to draw her singing to the song Euterpe. Needless to say, I was listening to the awesome soundtrack while painting this. I also modified her costume a bit. Those leather looking flaps from her hands are interesting but I would like to see one that is made of silk-like semi transparent material. This let us see the underlying designs and curves that is to me, the highlight of the design. haha. Another Fan art. 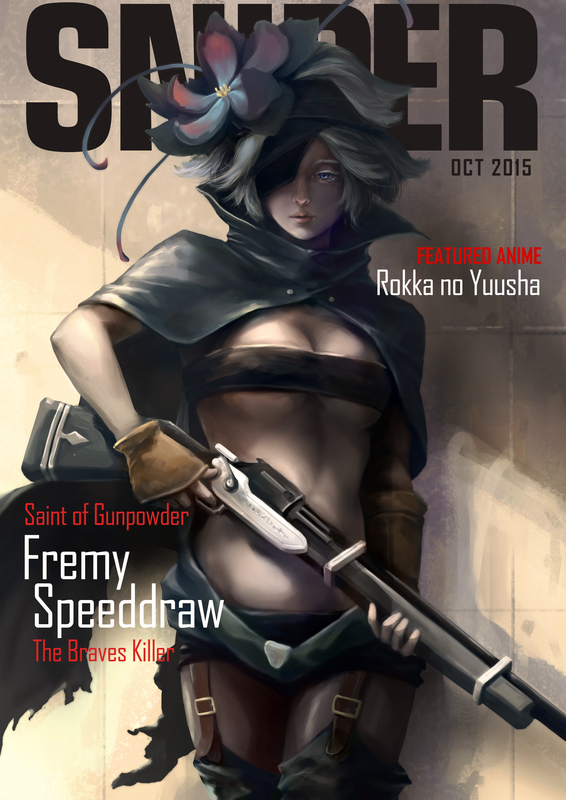 This time featuring Fremy Speeddraw from Rokka no Yuusha (Braves of the Six Flowers). I really like Artgerm’s idea of the Justice Magazine, (and will really like to see one actually get published? ), So here is my attempt for a magazine cover page. I actually completed it a few days ago, but was hesitant in posting it. Not sure whether I managed to pull it off. But here goes. Everything has a first attempt i guess. Let me know what you guys think of it. Rokka no Yuusha is an interesting anime to watch, especially if you are into the mystery and action genre. Upon seeing her appearance in the series, I immediately know that I will do a fan art of her. It is a really interesting design concept. Fremy is the Saint of Gunpowder. Her unique heredity of half human half kyouma allowed her to receive from the god a new type of power, “Gunpowder”. It isn’t among the 78 officially known types of Saints. Her power allows her to freely create explosives during battles, and greatly increases the damage caused by her gun’s bullets. While Fremy’s name is not known to the public, she is widely known under the ominous name of “The Six Flowers Killer”, assassinating potential future heroes of the six flowers to only leave weak fighters alive. That way, when the time for the heroes of the six flowers to be chosen would finally come, the Goddess of Fate would have only weak heroes as candidates, ultimately resulting in the heroes’ defeat and the complete awakening of the Majin.